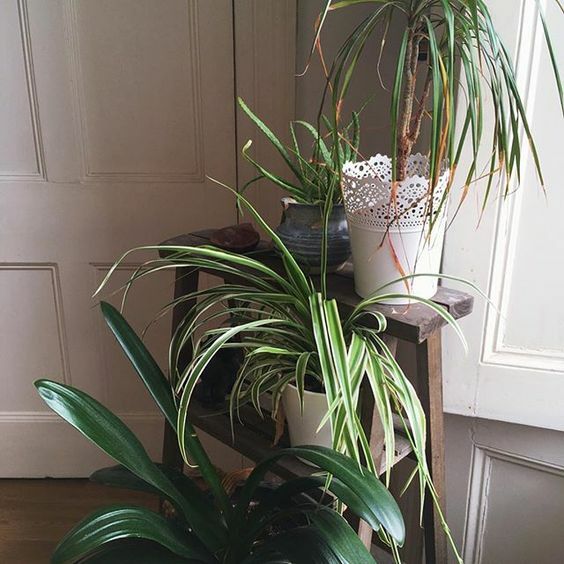 If any of you follow me on the Gram you’ll know that I’ve got a pretty bad house plant addiction. 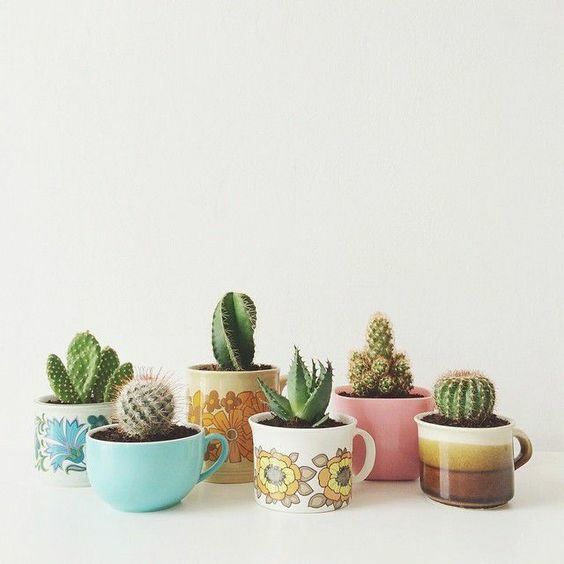 In my old flat we had 30 plant babies before I decide that maaaaybe we’d reached capacity. 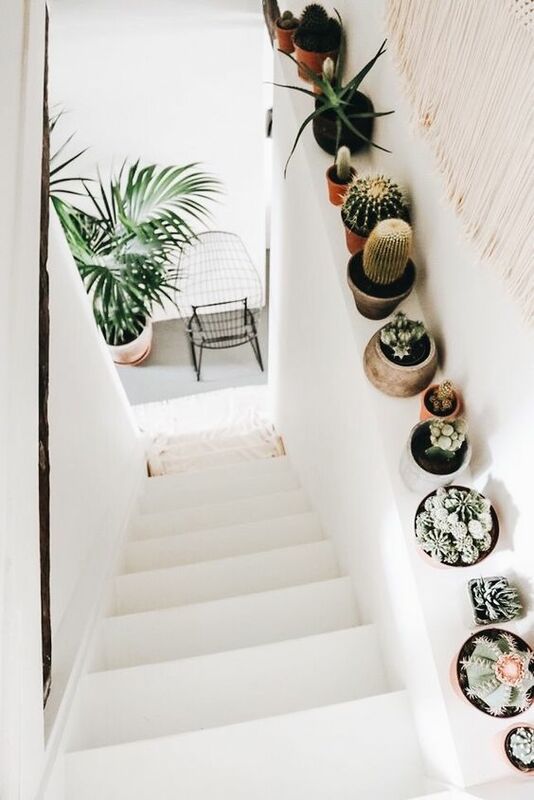 In recent years I’ve been increasingly drawn to simple white wall interiors with tonnes of greenery and lots of mixed textures. 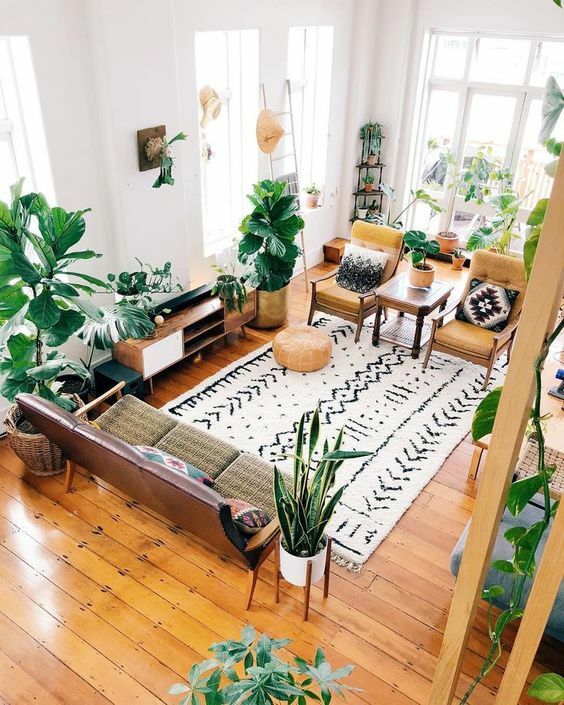 Think boho rugs, distressed leather sofas, mismatched wood and plants on every surface. 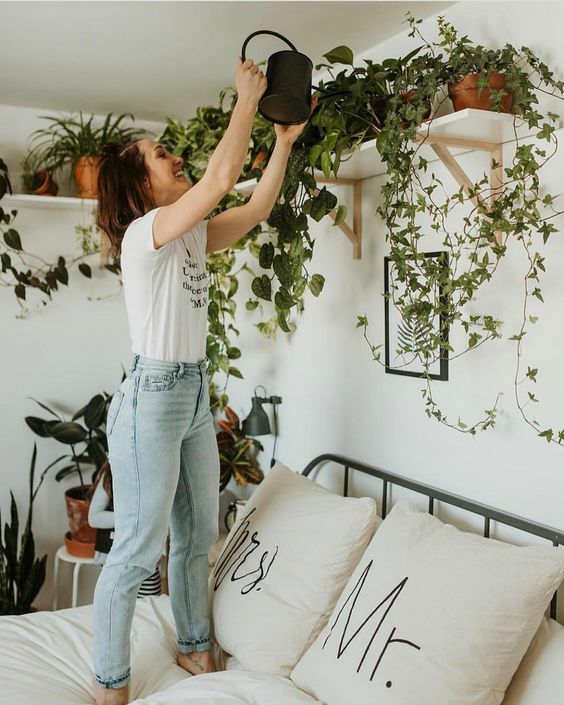 The whole urban jungle trend has definitely inspired my interiors over the past couple of years, however it isn’t as easy as it looks! 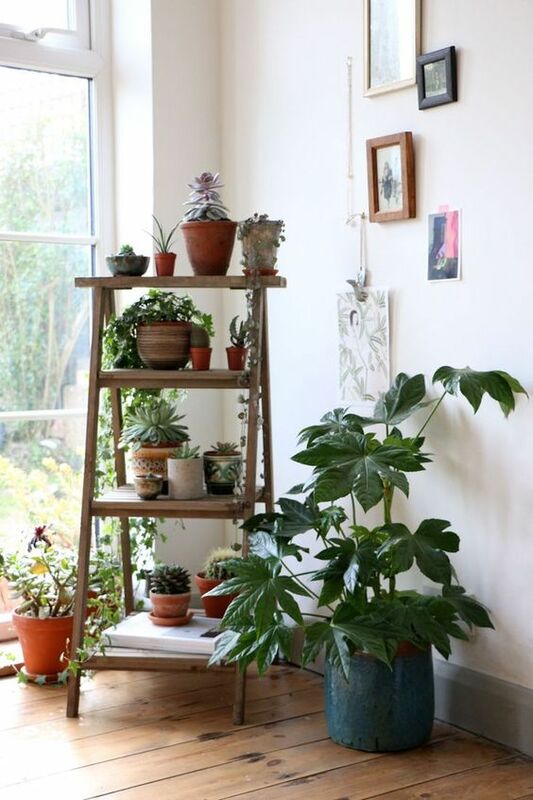 I have had to have a lot of practice and do a lot of reading about how to look after these plants! Sites like Bloomspace are perfect for learning more about how to look after your green friends. They have helped me a lot! Now, here’s a look at some of my fave inspiration images as well as photos from my own homes to show you my take on it. 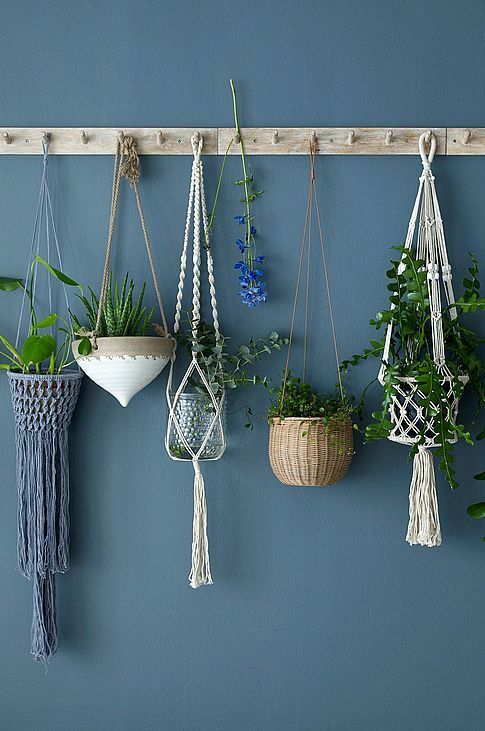 I love hanging planters, and macrame is a great way to add texture to your space without going too overboard on the 70s vibes. I’ve actually replanted an aloe cutting in a stoneware mug I didn’t use anymore, it looks so cute! 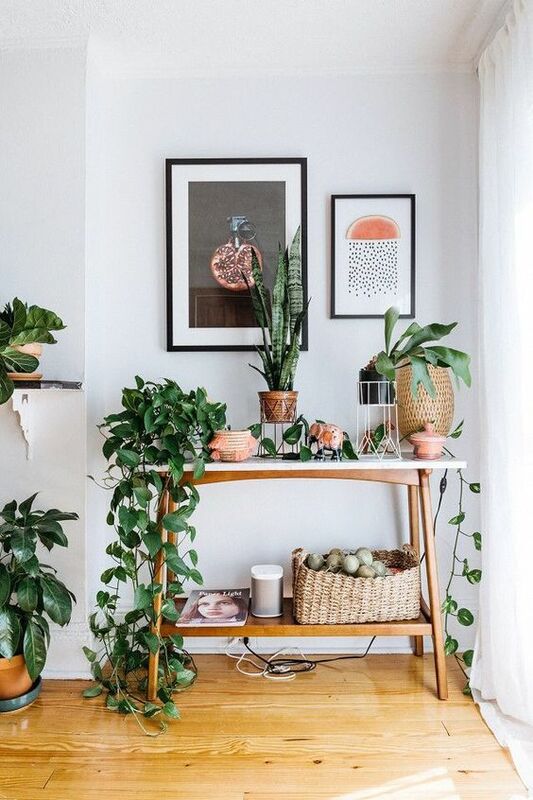 I love how good plants look in rustic terracotta pots or baskets, it instantly adds texture and warmth, plus the contrast between the vibrant orange and the green hues of the plants works so well against the cool white walls. 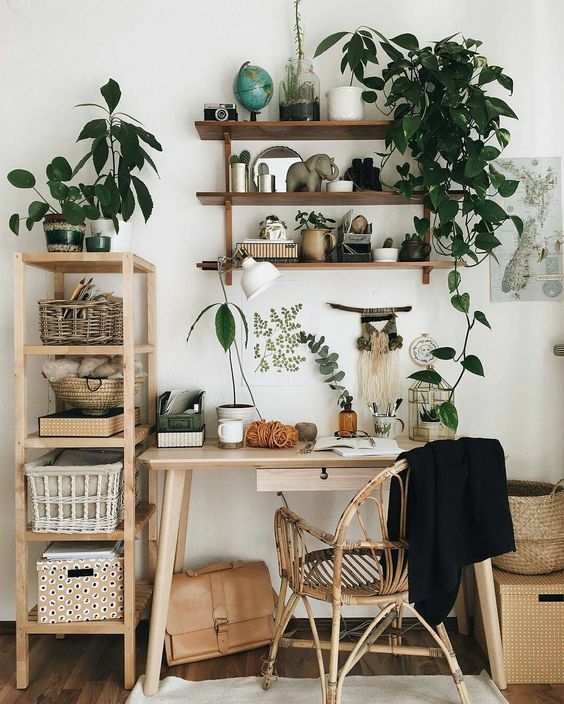 I have a plant stand just like this and it’s become one of my favourite pieces of home decor. I love styling and rearranging it. Tiered plant stands are great for trailing plants such as Ivy or String of Hearts. 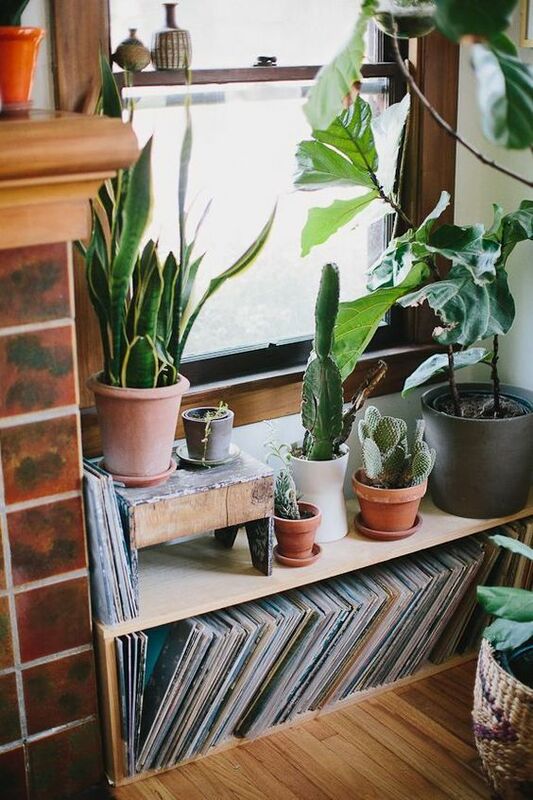 Sideboards, nooks and windowsills are just made for plant collections. 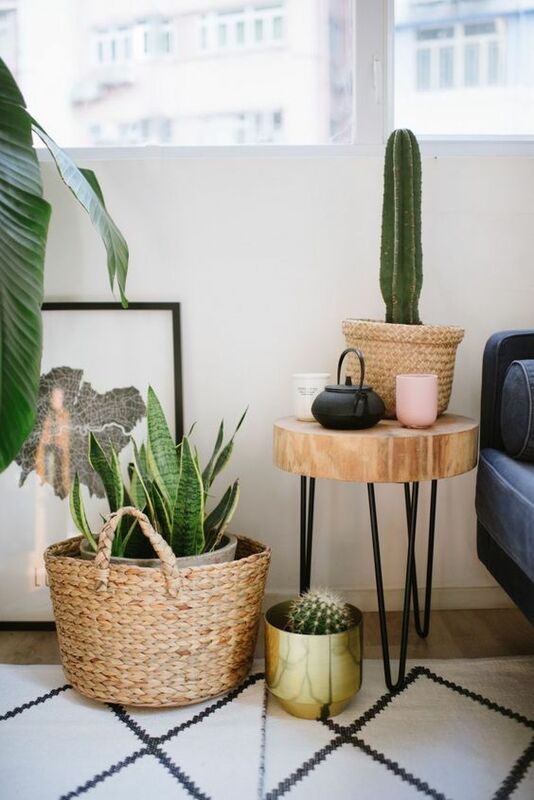 If you’re after great, low-maintenance houseplants then snake plants and succulents are always a good idea. This house is my absolute dream! I see it on Pinterest and IG all the time. 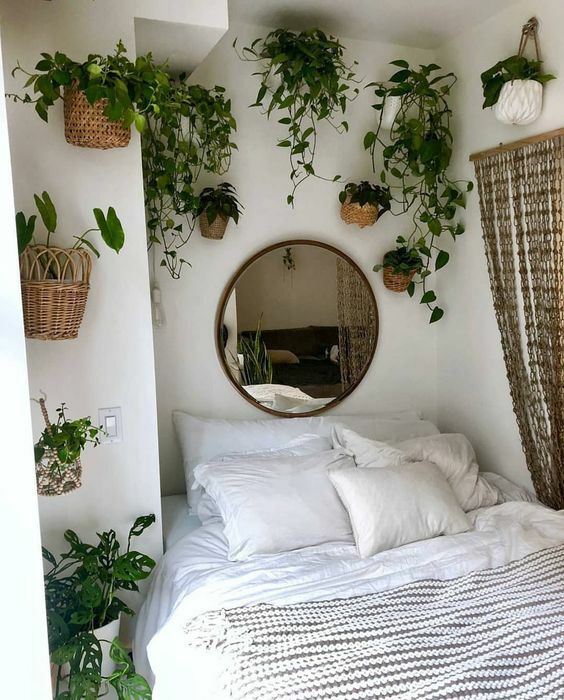 And plants aren’t just for the living area, they look great in bedrooms too. 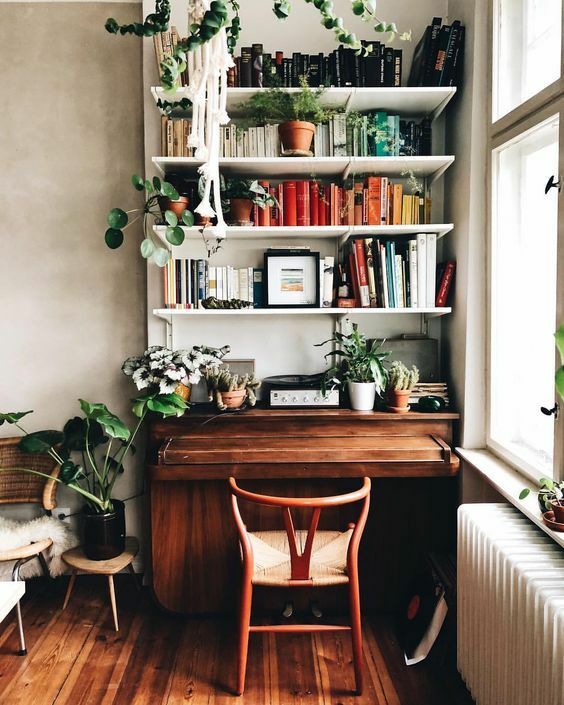 I always love having a little plant buddy on my desk, storing them on bookshelves is a great way to keep them elevated – essential if you have pets or kids running around. 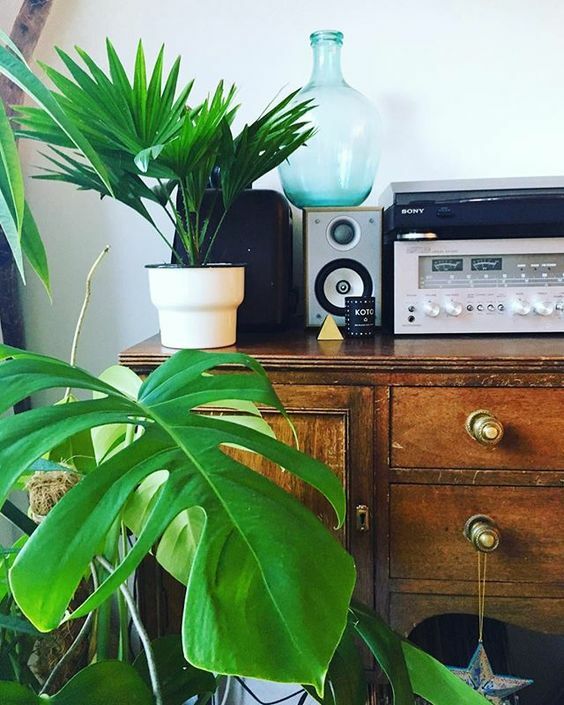 This was my fave corner of my old flat, it housed our monstera which as you can kinda see from these two pics, grew fast. We also had spider plants, palms and a lot of aloes. 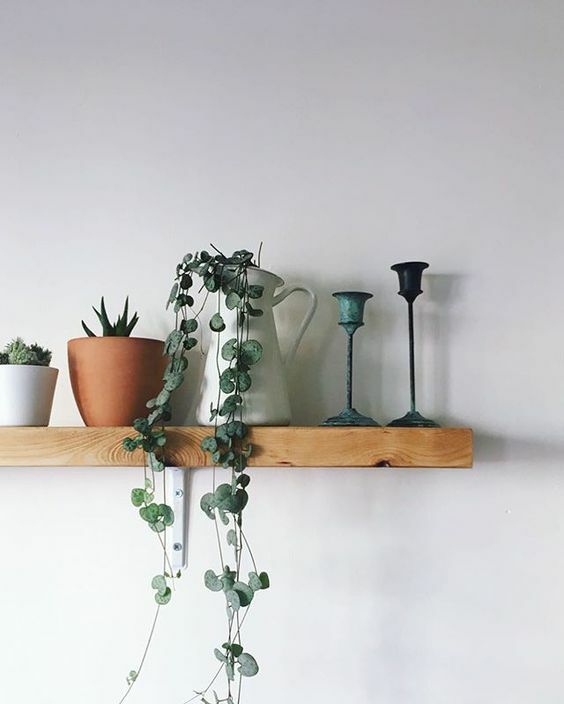 The string of hearts is such a great houseplant. I’d never had one before but it’s low maintenance and grows really quickly so it makes a beautiful impact in the room. 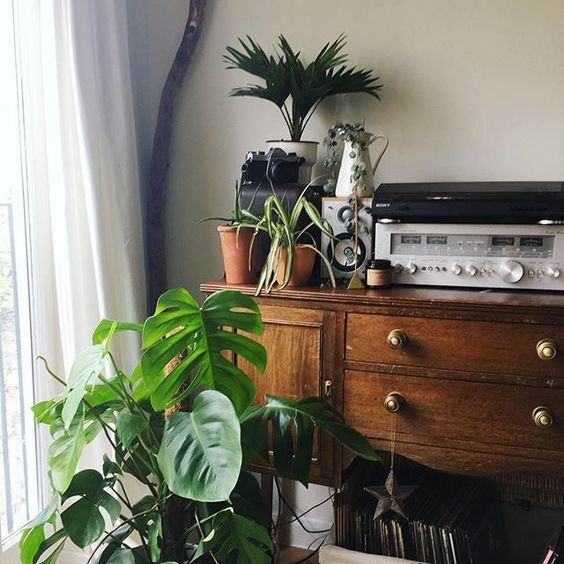 Here’s my plant stand as it used to be styled in my living area. 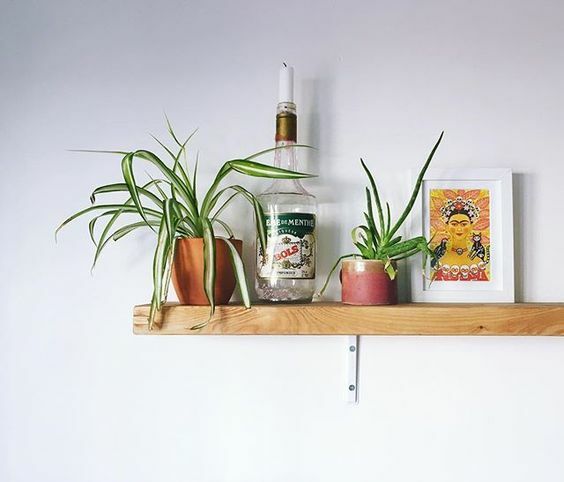 And here’s how we styled a rustic wooden shelf in my old flat. 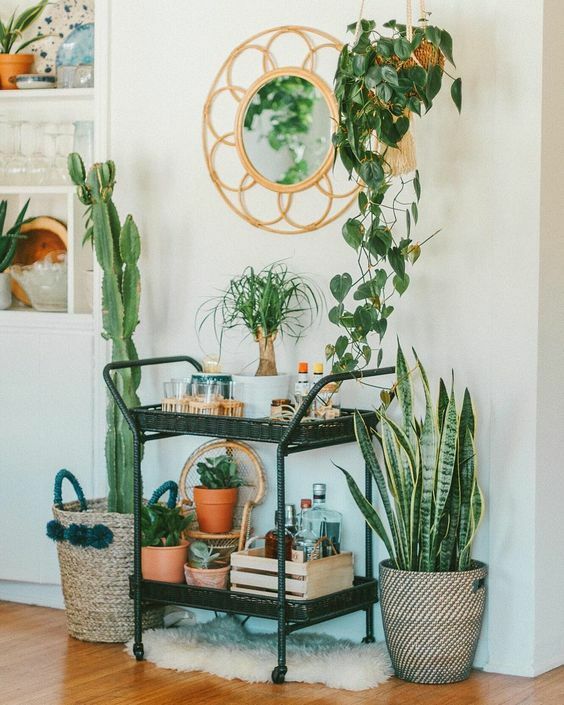 I kept it fairly minimalist (for me anyway) and instead focused on just a few pretty plants in mismatched containers. This is the little guy I mentioned above. I grew it from a cutting and repotted into an old stoneware mug I didn’t use anymore. It’s grown so big, although it’s a tad bedraggled. This poor aloe often gets hacked for fresh aloe juice and pulp which I use sometimes in my skincare. The brown ends are a sign that I overwatered it in the past, something I’m much hotter about now. 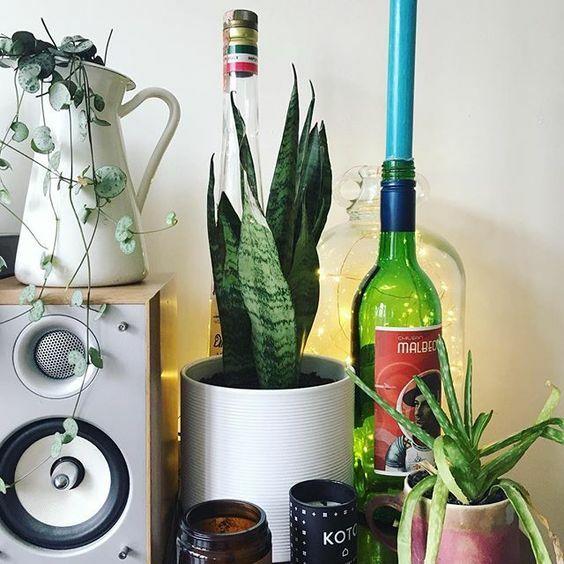 And this is how I’ve currently got my plant stand styled. 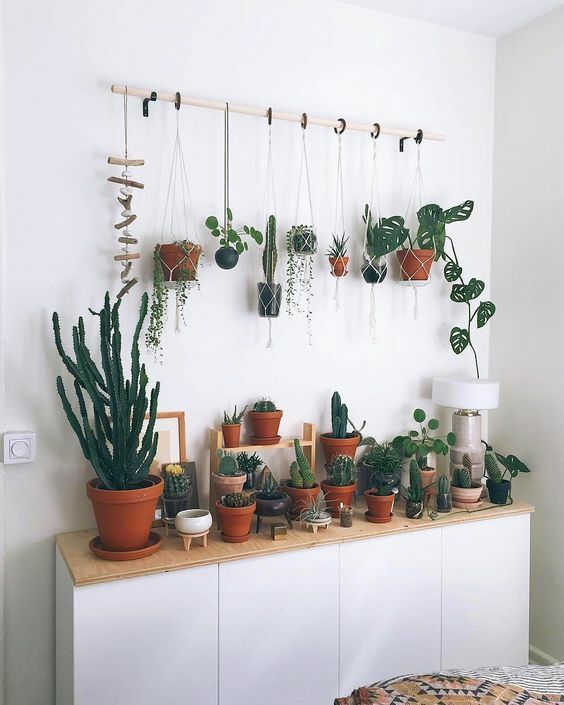 This is in a corner of my bedroom and I love how the green pops against the white walls. As well as plants it plays host to some candles, a fairy light filled gin bottle and a pretty vintage glass bottle. 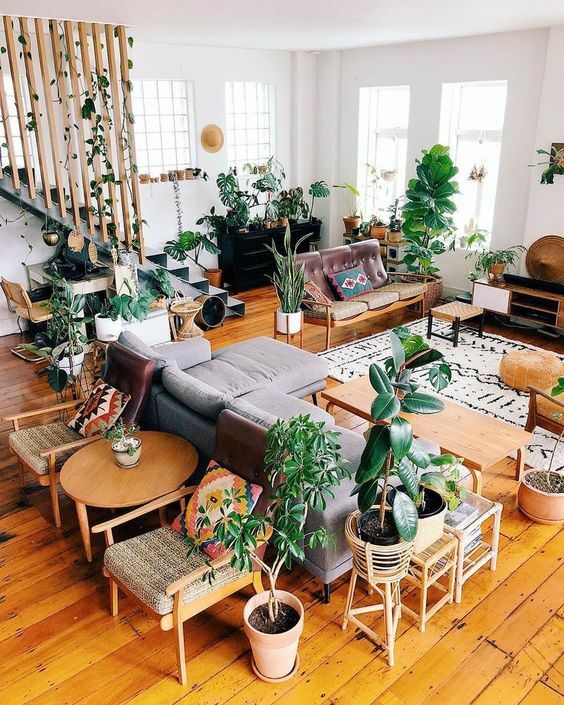 For more urban jungle living inspiration check out my board below.